Customer satisfaction was a top challenge for this Workforce Management Solution company. The VP of Customer Success was looking for an unbiased third-party to dig for valuable feedback from his end-users. To solve for this, the VP implemented a Customer Experience Analysis program with Primary Intelligence. Since implementation, the company has seen a significant improvement in customer renewal. The VP of Customer Success values the flexibility and service he gets from our Customer Experience program. He has had a very positive experience working with Primary Intelligence and the Program Consultant is “fantastic.” The VP relies on the Program Consultant for his expertise and problem solving solutions. "He's very responsive. He makes sure he is providing us with what we need and what have asked for. He understands our business and the challenges we're encountering. He offers good insight." The Program Consultant's keen ability to understand this Workforce Management Solution company's needs enabled him to provide the VP of Customer Success with the specific type of information he needed in order to identify and address customer concerns. The Program Consultant's expertise to ask probing questions and determine the underlying reasons behind the company’s buyer’s decision were seen as one of the primary advantages of working with us. As an added benefit, the VP of Customer Success discovered support issues and the need for additional training on behalf of the support team. During a Discovery session, this VP realized both the end users and the support team were struggling with security concerns. Since implementing the Customer Experience Analysis program, this Workforce Management Solutions Company has a much better understanding of customer needs. The company has improved customer satisfaction, enriched the support team process, and is highly satisfied with the level of service and support received from Primary Intelligence. 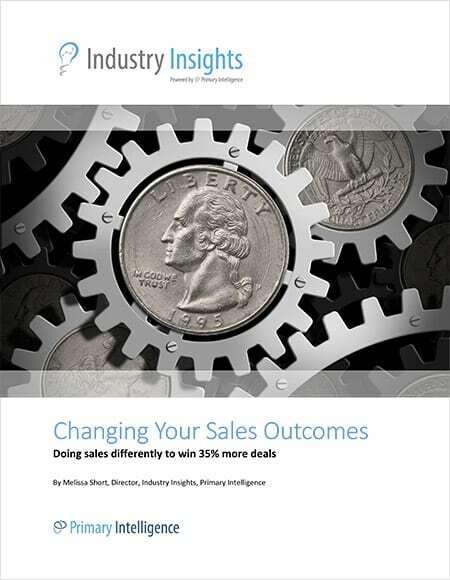 In order to improve its customer retention rate, the VP of Customer Success Management Solution company needed more robust intelligence on the issues customers were having with their solution than he had been able to get internally. "We're trying to identify the issues and concerns our customers are having with [our company]." The VP of Customer Success partnered with Primary Intelligence—an unbiased third-party—to obtain authentic customer feedback on the issues they are having with the software. To understand the customer’s journey with this company’s solution, specifically related to enterprise-level accounts. To understand the customer’s experience with implementation, on-going customer support, problem resolution, and their likelihood to renew the annual contract with this Workforce Management Solution company. To correct problems identified by customers at the individual account level as well as applying the learnings across all existing accounts, making changes to the process as needed. "It was very beneficial to gather information that a customer may have been hesitant to tell us directly, but felt more comfortable going through a third party." After the Workforce Management Solution company’s program team completed a group of Customer Experience interviews, an emerging trend started to stand out about strict security requirements placed upon their end-users and the admin time associated with resetting employee’s passwords. "I like the probing questions that are asked. They are not just yes and no, but asking the customer to open up and go into more detail if they have a specific issue or concern." During a Discovery session with the Program Consultant, key stakeholders, including the CEO, discussed security restrictions. The CEO decided “Our security requirements should be no different than what currently exists when you do your online banking. We shouldn’t be more stringent than that.” From there, action items were assigned to make changes to their system. End users of this Workforce Management company’s solution are content with the new process for security requirements. Thus, improving chances for renewal.